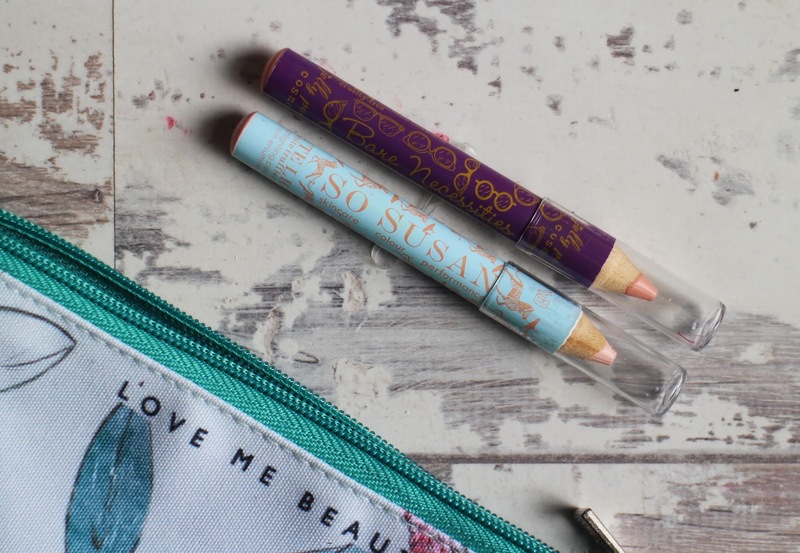 This is the last Love Me Beauty i will be receiving for a while as my six months subscription is now up. I was debating whether to keep it on or not but this months offering has just left me feeling rather underwhelmed. I knew it was going to be difficult to top last months to begin with but despite having new and different brands to try, this months selection just left me feeling really underwhelmed. Infact 3 of the items I've chosen are more or less the same thing which is ridiculous but there just wasn't much else to pick from that wasn't repeats from previous months. This is the only item I've actually tried out of the four and it is actually pretty nice. It's a beige/champagne cream highlighter stick - I've only tried it a few times but so far it's pretty nice. 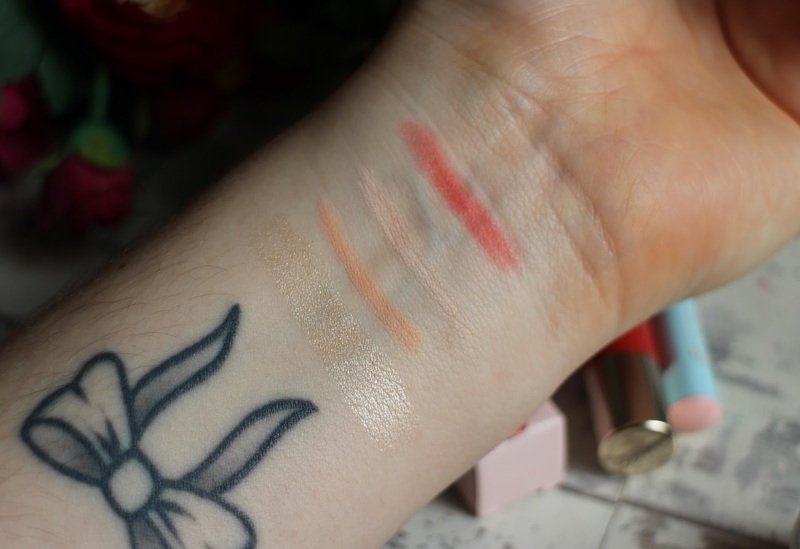 It blends in quite easy and offers the skin a nice, subtle every day highlight. This is described as being a universally flattering ivory cream crayon that reduces eye bags and increases skin elasticity. You blend it onto the brow bone, cheek bone and onto dark circles for instant skin clarity and radiance. Can also be used as a eyeshadow base. 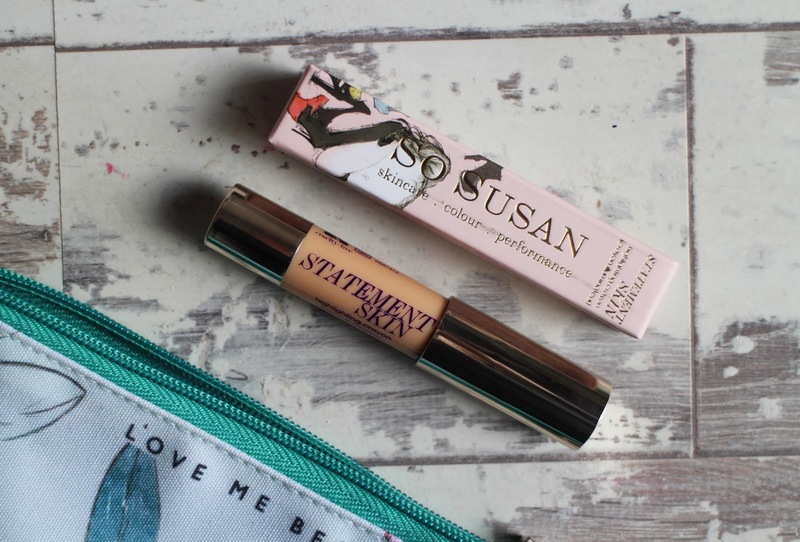 This is described as being a highlighter, eyeshadow base, waterline and a concealer all in one. You can blend it onto the forehead, cheek bones, brow bones and nose to illuminate the features, use it to cover under eye circles/disguise blemishes and glide it onto the waterline to open the eyes. Basically these two products do exactly the same thing, they're just different brands which for me is a bit silly on Love Me Beauty's behalf - why have the multiple of the same product. I know, i chose to order them both but the other options weren't very good. Also, it really baffles me how a product can highlighter and illuminate areas and then disguise others? Is that not just a complete contradiction? I actually didn't really want to get this, but i only had 15 credits left and there just wasn't anything else left that i was interested in. 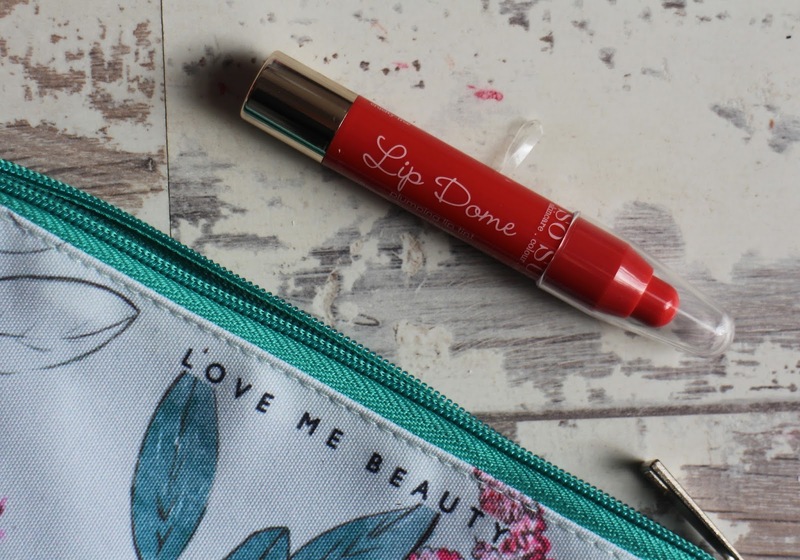 The lip domes are described as being a long wearing hybrid between a rich satin and a hydrating balm with the perfect balance between non drying, pigmented colour and cushion-y soft lips. It does actually sound like it could be really nice but it also says it's lip plumping which kinda puts me off. I do feel like Mango would have been a really good Spring/Summer shade as it's a orange/coral shade. Overall, I'm just rather underwhelmed by this months offerings. I'm still yet to try most of the products so who knows maybe I'll be surprised and discover some gems. 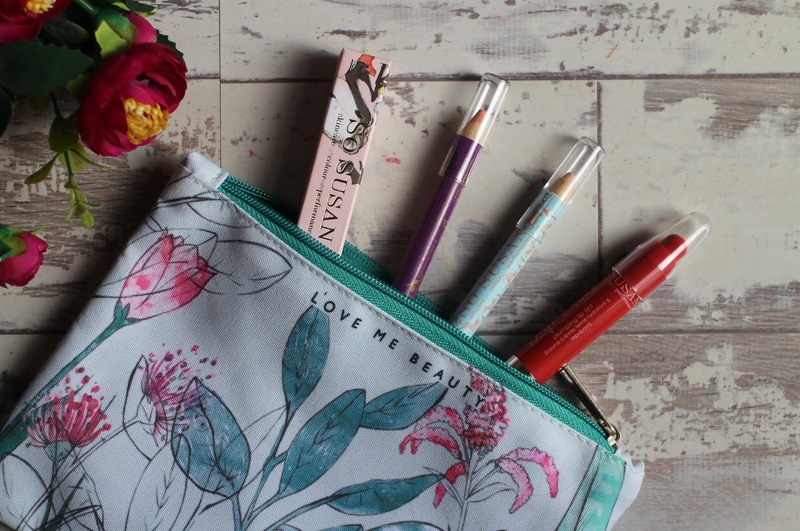 I do really like this months make up bag though, it is so pretty. Who knows, i may resubscribe to Love Me Beauty in the future but right now i don't want to commit to another six months and I'd rather use the money elsewhere. These all look nice, but I understand where you're coming from. I unsubbed from Glossybox for the same reason. It felt like the same products just from different brands every month. It is really stupid on their part because a lot won't be interested.